The studio features a marble foyer, nine-foot ceilings, two queen-sized beds, sleeps four, marble bath, a kitchenette with a microwave, coffee maker and refrigerator, a large private balcony that has bay views as well as city views, one color remote control flat-screen television with cable and Nintendo, one Sony CD player AM/FM alarm radio, in-room safe, multi-line telephones, computer and fax hookup, dataport, laundry service, plush terry robes, goose-down pillows, featherbed, frette linens, and complete concierge attention. * SOUTH BEACH - a fabulous art deco district 15-20 minutes away. * COCO WALK in COCONUT GROVE - offering a wide selection of shops, restaurants, and movie theaters - 20 minutes away. * The SHOPS AT BAL HARBOR, over 100 upscale shops and department stores - 30 minutes away. * CRANDON PARK AND BEACH - five minutes away. * MIAMI SEAQUARIUM - five minutes away. * BILL BRAGGS PARK - offering nature trails and the historic Cape Florida Lighthouse - five minutes away. * CRANDON MARINA - for trips to the nearby reefs, sailing, and sport-fishing charters - five minutes away. * AM/FM clock radio with alarm with CD player. * Goose-down and non-allergenic foam pillows. * Plush terry or lightweight bathrobe. * Luxurious 100% cotton linens. * Generously-sized terry bath towels. * Multi-line telephones with hold button. * Remote-control color FLAT SCREEN television. * Lighted makeup mirror and hair dryer. * Suit, skirt, and padded hangers. * Spectacular views of Biscayne Bay and city views plus overlooking lush tropical gardens. * Computer and fax hookups. * High-speed Internet access with dataport. * Babysitting services available upon request. * Two outdoor heated swimming pools. * Gift and sundry shops. * 24-hour secretarial services (fax, photocopies, telex, and courier). * Airport shuttle service provided by hotel or local transportation company (fee may be applicable). * High-speed Internet access with dataports. * The Pool Bar and Grill - cocktails and light fare cuisine. * The Lobby Lounge - cocktails and light fare cuisine. * The Library Bar - cocktails and light fare cuisine. More than 20,000 square feet (6096 square meters) of meeting and banquet facilities, including the 10,302 square-foot (3140 square meter) ballroom, the 2497 square foot (761 square meter) Junior Ballroom, a 2882 square foot (878 square meter) multifunction room, six individual meeting rooms, and extensive, outdoor, function space. Expansive 20,000-square-foot (6096 square meter) spa featuring a complete fitness and wellness facility, personal training, sauna, steam, massage, facials, specialty spa services, and a full-service beauty salon. Other activities include boating, windsurfing, parasailing, scuba diving, snorkeling, sailing, deep-sea fishing, and wave runners. SPA Expansive 20,000-square-foot (6096 square meter) spa featuring a complete fitness and wellness facility, personal training, sauna, steam, massage, facials, specialty spa services, and a full-service beauty salon. KIDS Program offers an exclusive supervised children's program designed specifically for younger guests age 5-12. Kids program allows parents to play while children stay with trained and certified counselors. Boating, windsurfing, parasailing, scuba diving, snorkeling, sailing, deep-sea fishing, and wave runners. Village of Key Biscayne, featuring a number of fine shops and boutiques in a quaint, tropical setting five minutes away. The Streets of Mayfair, offering fine shops and boutiques, restaurants, and cinemas 20 minutes away. Miami International Airport, 15 miles or 20 minutes away. Fort Lauderdale Airport is 25-30 minutes away. Taxi, luxury coach, or limousine service available. Arrangements must be made in advance. The gracious main lobby and spacious guest rooms and suites welcome guests with furnishings and artwork casually elegant lifestyle. Set upon a dazzling stretch of golden sand beach and overlooking the blue waters of the Atlantic Ocean, Key Biscayne is surrounded by a palm-canopied garden of natural wonder with lush tropical trees and brilliant flowers. In addition to the ultimate in comfort, Key Biscayne offers exceptional convenience when guests choose to go off property for shopping and sightseeing. The attractions of Mayfair, CocoWalk, Bal Harbor, and South Beach are all within a short 15-30 minute drive. We live in New York and love visiting Florida. The Ritz Carlton in Key Biscayne is our favorite place to stay when visiting Florida. If you haven't been here it simply beautiful. It is the perfect get-away is a great place to vacation for a couple or families. Key Biscayne is so special and centrally located. You really feel like you are away at this resort. The resort is just beautiful. We love the recently renovated spa and salon. South Beach is a hop skip and a jump away and love dining at my favorite restaurants Joe's Stone Crab, Prime 112 Barton G's and for romance we love Baleen's. The Ritz Carlton has wonderful staff and great amenities. We love going for long walks on the world class beach to see the lighthouse. Bike riding is really great on Key Biscayne as there are many bike paths. We also love to go boating or waterskiing or wave running about 5 minutes from the hotel. The Ritz Carlton, Key Biscayne is truly a great home away from home. We hope you enjoy it as much as our family does. A LOVELY RECENTLY RENOVATE BATHROOM. Kitchette, includes, coffee maker, microwave and refrigerator and wet-bar. There is boating on Key Biscayne but not at the Ritz Carlton directly. Cliff Drysdale Tennis Garden, located on the grounds of The Ritz-Carlton Key Biscayne, is the largest and most complete tennis venue of any Ritz-Carlton resort worldwide. There 10 Har Tru courts. The is a family pool as well as an adult only pool available. 2 gorgeous huge pools overlooking restaurants and beachfront. The recently renovated condo has remote-Control flat screen Color TV, Sony CD Clock Radio, Kitchenette. The studio has high speed internet access and a large balcony overlooking the bay, There are 2 Pools (shared) one is a kid friendly huge pool and the other is an adult only pool. There are restaurants at both pools plus service at your beach chair. There is a 20,000 sq ft spa, The Ritz Carlton, Key Biscayne has 3 restaurants and is located beachfront. We had a fabulous stay at this beautiful 5 star property! We can't wait to return! Fantastic Place and a wonderful unit! Amazing location- The condo is well clean and maintained and so easy to rent. Then owner was wonderful to deal with- responsive and accommodating. The resort is perfect for couples and families, with many food options and shopping nearby. Miami is an easy uber ride away. I would highly recommend renting this unit and we will certainly do so again! Loved the Ritz Carlton, it’s location, and all its amenities. Everyone who works at resort was nice and friendly. Our family had a great time. It was a wonderful experience, the condo was fantastic and we enjoyed a lot. Everything was perfect for what we expected. Tammy very kind with us and open to help us in everything we need. Thank you Maria for your review. 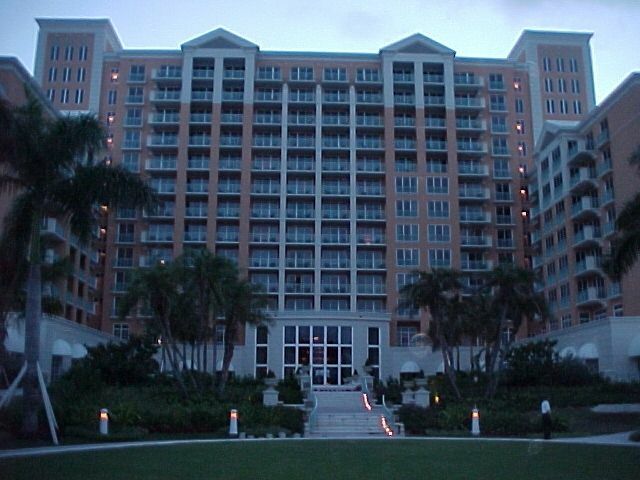 I’m so happy to hear you and your family had a wonderful stay at this condo at the Ritz Carlton, Key Biscayne. Please come back again. Awesome spot to stay at, we’ll be back! Our family had a wonderful, relaxing time at Tammy's condo. It was clean and comfortable, and we thoroughly enjoyed the Ritz facilities (especially the pool and beach activities) and on-site restaurants. And we had fantastic weather! All in all, a really fun vacation. Thank you, Tammy! The Miami Seaquarium is less than 10 minutes away and is located on Key Biscayne. The Lighthouse located at the tip of Key Biscayne is a great short bicycle trip that your family can to enjoy.